Oh, my bad! Thanks, agian! It was an accident, the title was meant to be "Sirius' escape as turning point of the series/Why didn't he escape earlier?" Describes much better the intended discussion there, you see. Last edited by Holey; October 7th, 2007 at 6:12 pm. You should be able to rename your own threads yourself. On the forum page, double click just to the right of the text of the thread name, and you get the name in edit mode. Location: Drawing in a lab! I double-posted a thread at "Novellas" and don't know how to erase the second one...It's called "the toothbrush"
Hmmm I started a thread and it's not there now..I might have closed the page before it fully loaded but I don't want to repost incase it was deleted..was it deleted? I beleive it was in the cinema thread. I wasn't deleted, but we have a mod queue installed to avoid spam posts and threads. I approved it now, it just wasn't spotted yet by any moderator. If a person has made their own thread, say in the art or photography sections, and they wanted to delete it, is there an option for that? Yep. Just owl one of us and we'll do. 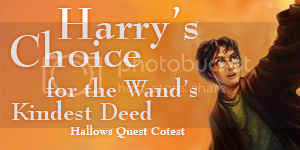 I actually pm'ed the webmaster regarding this...The thread "Hurt & Heal: Order vs. Death Eater" in Quidditch Pitch is finished and needs to be closed or locked or whatever the correct term is. I'm not sure who to contact about this. In the mean time, I'll post something on that thread to direct people to a new game. I closed it for you. I created a thread for the NBA 2009-2010 season. The mods have decided the thread should be combined into another thread. OK, I have no problem with mod decisions. However...it was moved into the NCAA Basketball thread. Was this an oversight or was there a reason for this? Perhaps you could tell us what kind of sports this NBA is. Would make it easier to get it in the right place. Oops, that was my mistake. I meant to merge it to the NBA thread, but I clicked the wrong button. Last edited by SusanBones; October 29th, 2009 at 8:50 pm. Okey-dokie. When I made the thread I knew there was a chance it might be combined, but I figured I'd give it a shot. I wish to comment on the moderating policy of banning a certain word and topic from the Ministry of Magic forum. It's the word the moderator named "Alastor" highlighted in red on the "UK Politics" thread. The discussion was based on a certain British political party which obviously has the banned word as its core ideology. Banning this word effectively means that discussing this political party is essentially impossible. It would be like discussing Sinn Fein without mentioning Irish republicanism. This is problematic for the thread, since the ideology and policy of the British political party in question will be of key importance to the upcoming British general election and after all the thread is called "UK Politics"